Last year Jane decided to get a small dog for companionship and chose a small poodle cross-breed. Jane started with the best of intentions, but she ran into a problem very soon after the puppy came to live with her. The puppy had difficulty coping with being on his own and would cry and bark each time he was left alone in the home. As many caregivers do, Jane sought advice from the internet, friends and social media – to no avail. She contacted a popular social media “behaviourist” and paid £75 per hour for advice. following said advice, she spent two hours tossing pieces of food at her dog while dizzying herself entering and exiting her home in a futile attempt to build the dog’s tolerance for her absence. This advice did not help. Jane then contacted a “dog whisperer” who charged her £175 and told her to be tough, to be the pack leader and, in her presence, dug his fingers into the sides of her small dog until the dog cowered in terror (he then chased her dog with a tennis racket). Although Jane loved her dog very much, she was feeling as if the situation were hopeless. She was in tears while walking her dog one afternoon when she bumped into an old friend who told her about the Animal Behaviour & Training Council. He told her that she needed the assistance of a registered clinical animal behaviourist. Thus, Jane contacted me. We had a long conversation and agreed on a date for our first session. Before that session took place, Jane completed and returned to me an in-depth behavioural questionnaire that prompted me to ask her more questions so that before I met her I had a full and detailed case history. Jane printed off the veterinary referral form that I had sent to her, and her vet signed this to agree to me giving advice to her client and her pet. 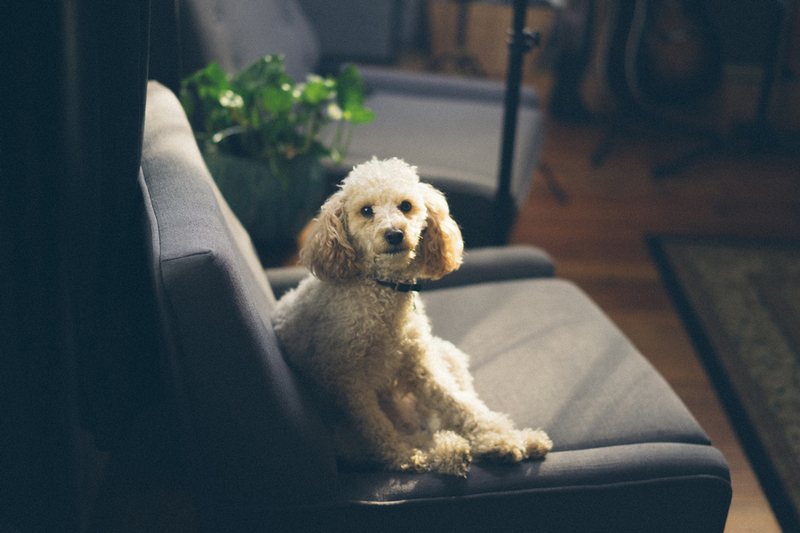 A copy of the dog’s medical history was also supplied – just so that I could see if there were any medical issues that could be contributing to the dog’s behavioural problems. At our first consultation, we established a base line for this dog – what he could cope with and what he could not. This consultation lasted 3 hours and was followed by a detailed report explaining the reasons for the dog’s issues as well as Stage One of the suggested behaviour modification plan. Each week Jane sent me the previous week’s diaries, and I read them and suggested how we would progress matters. In total, Jane and I worked together for 9 weeks, until her dog could cope with being on his own for 3 hours. The cost for this was far less than either the social media “behaviourist” or the “dog whisperer” had charged Jane. 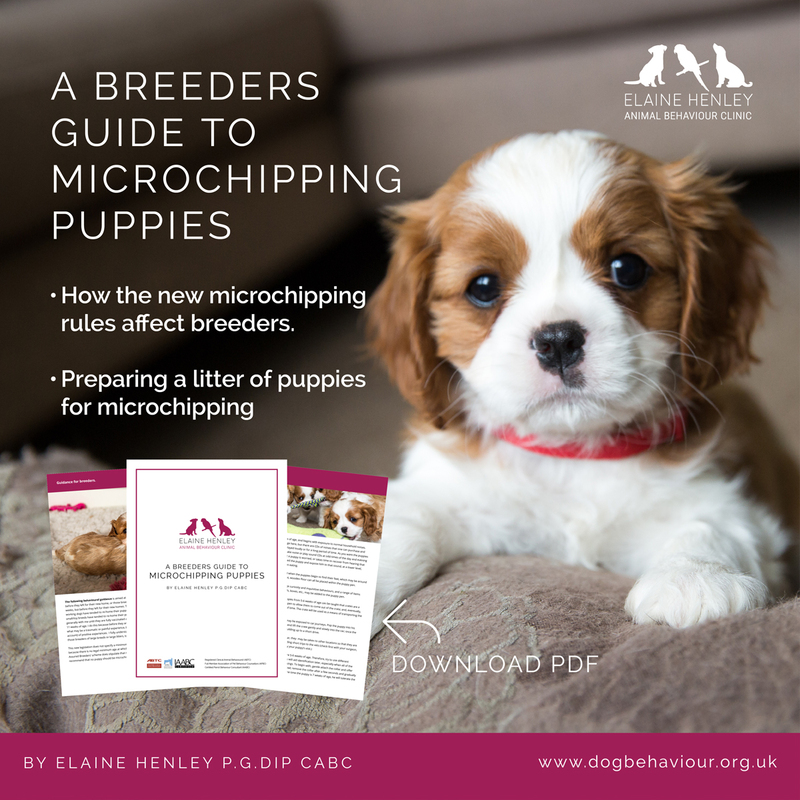 Before booking a behaviour or training session, check to see that your behaviourist or trainer is a member of the Animal Behaviour & Training Council. Don’t be fooled by expensive imitations. 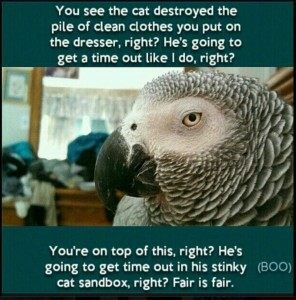 Aggressive behaviour towards caregivers is one of the most frequently reported behavioural problems in parrots. Aggressive communication in parrots may take the form of body language such as pinned eyes, head forward, ruffled feathers, growling, or screaming. These are a display of intention to escalate warning signals, if necessary. 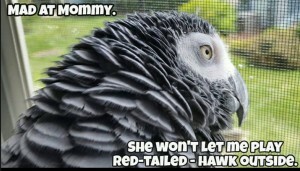 To avoid actual bites, learn to read your parrot’s body language and avoid situations where he is forced to use aggressive communication towards you in order to convey displeasure. Biting is a learned behaviour; and, while it might seem your parrot is biting “out of nowhere,” that is not the case. Parrots give lots of body language signals to convey intent before resorting to biting, as biting is their last resort. As humans, we are not always very observant, and we often don’t realize that we may be reinforcing the biting behaviour and/or ignoring the body language that the bird is displaying. 1. Consider if the parrot is healthy. A well-bird check up by an avian vet is essential because parrots, like us, will often become grumpy when they are not well. 2. Have there been any changes that may have affected the parrot’s mood, such as change in diet, routine, absence of caregivers, sleep deprivation, and unusual activity in the environment (i.e., construction unfamiliar visitors, etc.)? 3. Be observant and vigilant to determine which situations (triggers) will prompt the parrot to become aggressive. Keeping a diary will help the process. 4. Is the parrot flighted or clipped? Clipped parrots are more likely to become aggressive, as it is not so easy for them to escape conflict. Try to identify and understand what is causing the behaviour in the first place. Then, using ABA (Applied Behavioural Analysis), you can prevent reoccurrence of the behaviour while modifying the learned component of the behaviour. Often, aggressive behaviours in parrots can be caused by one or more triggers; for more complicated cases, or cases where the unwanted behaviour has been continuing for a considerable amount of time, professional advice should be sought from a qualified and experienced parrot behaviourist. It is almost a year since I received a phone call from a neighbour. It was that awkward sort of call where I could tell she didn’t wish to break bad news to me. It started off with, “Where are you? Are you close to home?” and ended with “There are two fire engines outside your front door.” My first thought was for my children, then my parrots and dogs – Were they safe? Had someone gotten them out? As soon as we arrived home, my son was there to meet me. As I saw dense black smoke coming from the upstairs window, my heart sank. There was no possible way the parrots could be alive as smoke can kill them in minutes. Perhaps the dogs had made it…. Shaking, I asked my son where the parrots were. He replied (with a choked voice holding back his tears), “They are safe mum. I got them out.” Indeed, they were safe and have suffered no long-term damage. Someone above was watching out for us that day! The dogs were in the bottom garden, all safe and sound. So how did he get them out safely? We had a plan that we had discussed many times – our evacuation plan for times of emergency. The parrots’ travel cages are located behind the couch in the sitting room and in the downstairs hall. There are large towels, gloves and a nebuliser. In one of the travel cages I keep my avian first aid kit that includes a small container of oxygen, F10, and a fire proof blanket. Spare dog leads and collars are here as well. The quick actions of my son saved the parrots and dogs… He knew where to find what he needed and what to do; quite impressive for a child not yet a man. What is your action plan for emergencies? Do you have one? If you don’t have one, why not? Make sure that everyone in the household knows this plan and can quickly and safely locate what is necessary. 30 Aug Do parrots make good pets? Thinking of buying a parrot? Watch this short video for more information about what you can expect life to be like with a parrot. Wondering what a healthy diet is for your parrot? This short video explains the importance of a varied diet for parrots. What do you feed your parrot? Reposted, because there is a “cute” video circulating FB showing Macaws and other birds free flying, the video suggests that only those birds that are given free flight are happy. ***Parrots were designed by nature to fly. This ability gives them the opportunity to increase distance between them and something that they fear. When startled, parrots will fly away until they have the chance to assess the possibility of danger. Regardless of how strong the bond is between you and your parrot, if he is startled, he will fly. This is his instinct – a hard-wired response in his brain. ***Outdoors, parrots may fly great distances- up to 5km away from their home or fly on top of tall buildings or trees, when startled, thus making it difficult for caregivers to locate and retrieve them. More often than not, a parrot who flies away from his owner outdoors will die from exposure or starvation before he is found. Parrots raised in captivity cannot care for themselves in the wild. ***Parrots are prey for neighbouring hawks, Birds of Prey, and cats. Birds of Prey have been reported as having carried small dogs, macaws, and Greys away. *** Preparing a parrot for free flight takes a great deal of knowledge and skill and not every parrot is suitable for this type of training. Most caregivers will simply not have the knowledge to be able to do this. ***Clipped birds can and do fly, when startled! They can fly well enough to escape you, but not a predator.
! Free flight training will not work if the parrot becomes fearful or startled, nor will it prevent the parrot from being snatched by a Bird of Prey. Warning: this video shows how quickly a Bird of Prey will attack a parrot outside. SO HOW TO TAKE YOUR PARROT OUTSIDE SAFELY? ***Do not use a leg chain. Such chains were developed for use with large Birds of Prey such as eagles, owls, and other raptors, who have stronger and far more muscular legs than parrots. A parrot wearing a leg chain, if spooked, could easily dislocate, break, or even lose a leg. ***Do use a harness use a harness or flight suit with a leash, which can be attached to the caregiver’s wrist and tightened. The Aviator Harness The Aviator Harness is one of the best; and, if introduced properly, it will bring you and the parrot much joy at being able to take journeys outside of the home together. This video link explains how to teach the parrot to accept the harness, and a DVD of instructions is supplied with the harness. ***Do consider the use of an outdoor cage, which can be securely locked so that your parrot may enjoy playing safely in the sunshine. Please always supervise the parrot, even when inside a cage as Birds of Prey or neighbouring cats can still attack your parrot causing injury, or even traumatize your parrot. Healing your parrot after such a trauma is very difficult and sometimes not possible. Outdoors in an outdoor cage can be very beneficial, but the use of caution is imperative! Photo credit The Legend that is Boo. We have all been there. You walk into a room (when you left it was clean, tidy, and nothing was destroyed) only to discover that since you last visited, new beak holes have appeared in the woodwork, papers have been chewed, and your possessions scattered. Then you spot “the destroyer” – the parrot, and you are annoyed. You shout at him, “You’re a bad boy!”, as you stomp around the room to tidy up again. You look up, and there he is – making a mess again. So, you return him to his cage, and go on line for some advice….or you read some of the very outdated advice given in many parrot books. Here are some bits of advice that you will undoubtedly read in various sources – along with an explanation of why they don’t work, and examples of alternative ways to address the issues. 1) “Give the parrot a ‘time out’ so he will know that destroying your room was naughty. Punishing him each time he commits the crime will decrease the chances that he will destroy the room.” Right? Wrong. Behaviourists know that from start to finish, this argument is flawed. If confinement worked, it would work on human prisoners who often leave prison and re-offend. If “time out” was an effective punisher, then you should only have to do it the once – not repeatedly. I have yet to hear of the person who used time-out once, and once only. 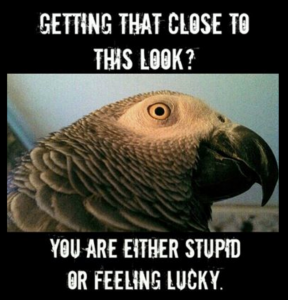 What is more likely to happen is that the parrot will begin to resent his cage – and you for putting him back in it. Thus, he will learn to bite you in order to stop you from returning him to his cage. 2) “Clip his wings.” Seriously – I have read this gem of advice on many parrot forums. The idea behind this is that if he cant fly, then he can’t fly from place to place and destroy your items. Right? Wrong. Parrots were designed to fly and they fly for a reason – not the least of which is to escape something that may cause them injury, or when they are startled. Taking away their ability to fly will increase their fear and apprehension. 3) “Use a play stand, and only allow the parrot to be on this play stand. Tethering and/or clipping their wings should also help with this.” Right? Wrong. Parrots were designed to explore their environment – to investigate, and, yes – chew up their environment! A play stand – even the most elaborate – is a poor alternative. Lack of appropriate exercise is a bigger killer to captive parrots than inappropriate food (not that junk food is all that great, either). 4) “Have a designated bird room.” Right? You guessed it. Wrong (again). This sounds like a great idea. In theory, if all that mess is contained in one area, the rest of your house can then look like a… well, like a home with no parrots. It doesn’t matter how large room this new bird room is, it is still a large caged area to the parrot. Parrots are flock creatures who really enjoy being in the centre of family life – in other words, where you are. They rarely do well in bird rooms, either on their own, or with other parrots. SO, HOW DO YOU PREVENT THEM FROM CHEWING UP YOUR HOME? – Just as you would with a human toddler, you must supervise them at all times when they are out of their cage. – Provide multiple play stations for them to seek out and explore. – Develop a sense of humour. You will need this in abundance when you live with a parrot. Recently, the majority of my house was re-painted and repaired following a fire. It was perfect – really, it was – FOR TWO WHOLE HOURS! (I have pictures of this perfection that I took during those two hours I had to appreciate and enjoy it.) Now there are beak marks on the wood work again. 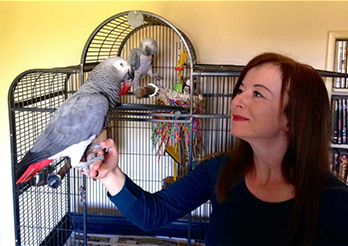 Yes, back to normal – normal for a home shared by humans and parrots. – Before you bring a parrot to live with you, ACCEPT the fact that parrots are messy creatures. – Provide your parrot with a range of toys – one or two toys is not sufficient. – Discover your parrot’s preferred play style. Some are acrobats, some are chain saws, some prefer puzzle toys, and some prefer enrichment activities. Photo credit: Kim and “The Legend that is Boo”. Parrots are flock creatures – all parrots live in flocks. A lone parrot in the wild is a dead parrot as there is safety in numbers. When some parrots are foraging, others will be watching for predators. When we bring a parrot into our home, we become their flock. They feel safe and secure when we are with them, and some feel frightened or insecure when we are not with them. Science tells us, that the stress caused by being lonely can shorten their lives, lead to behavioural problems such as destruction, Feather Destructive Behaviours, aggression and depression. Parrots in the wild give flock calls that tell other members where they are. These communications also serve to call other members of the flock back to them. DO establish a flock call with your parrot in the home, so that he knows where you are – that you have not abandoned him or worse, been eaten by a predator. By doing this you may be preventing a screeching problem later. 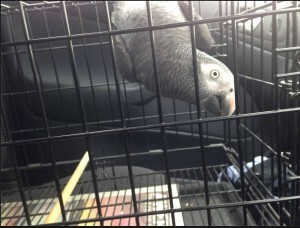 DO teach your parrot that when you leave the house, you will return. You can do this by gradually increasing the time they spend alone in the house. 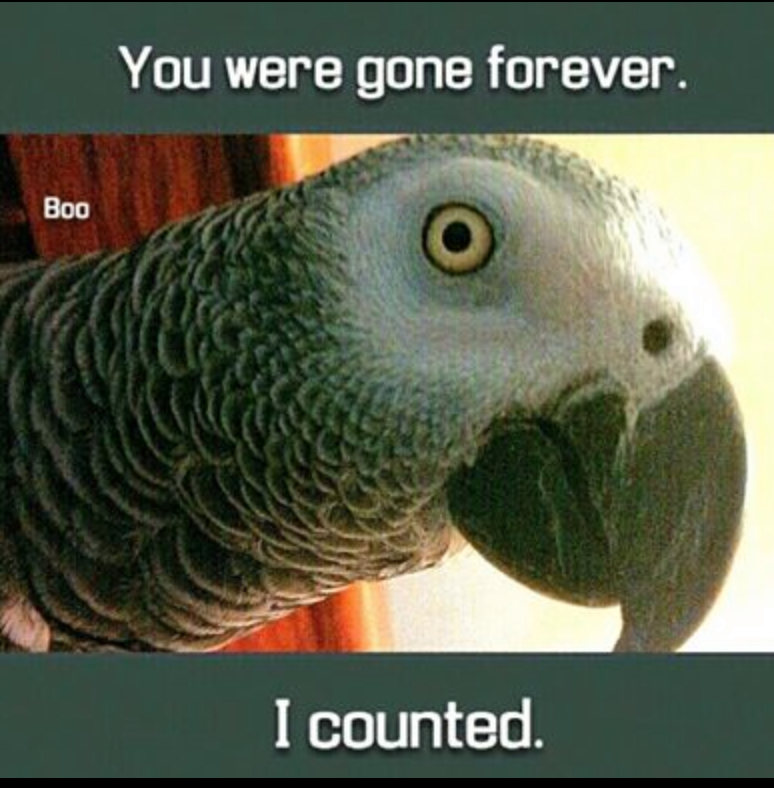 DO teach a cue word for leaving the house so that the parrot will associate this word or phrase with your departure and return. I tell my parrots, “Mum’s going to work; see you later!” and they settle down and don’t flock call for me when I am out of the house.